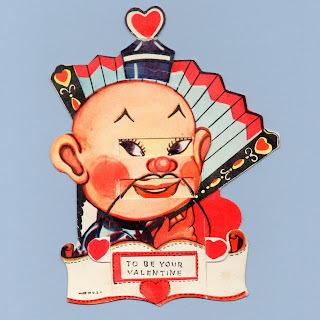 Valentines, like other vintage ephemera, often reflected attitudes of the day that may not be comfortable viewing today. 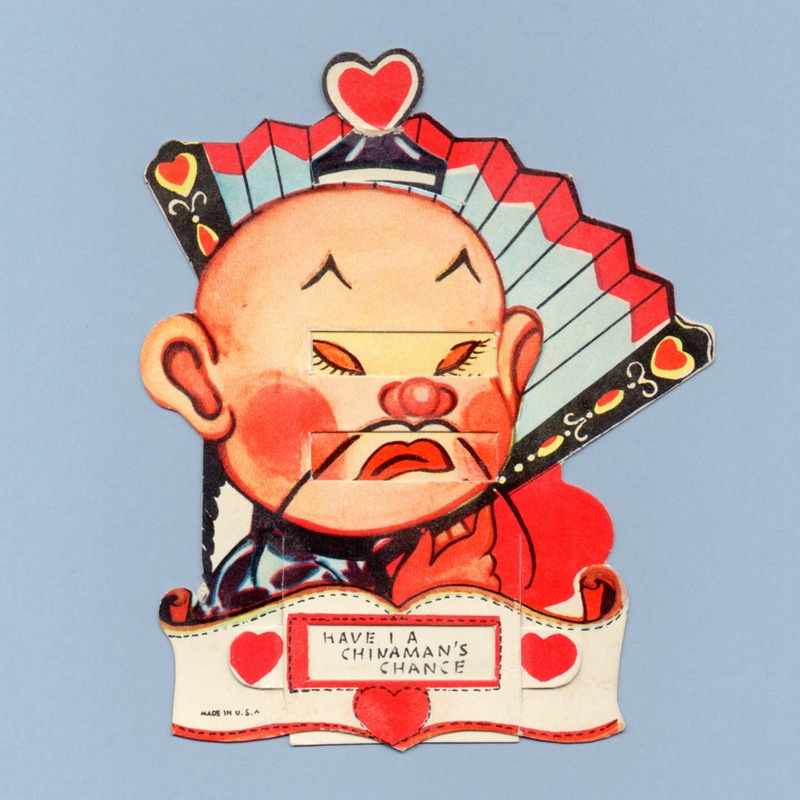 The cards shown on this page reflect the cultural and racial prejudices of their day employed as comic fodder and light entertainment. 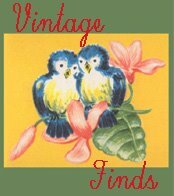 Some cards may be more problematic than others. It is easy to forgot how pervasive this type of stereotypical imagery was in popular culture in the last century. Items like these as mundane, everyday, fare are not that far in our past, nor entirely vanquished. As relics that tell the story of our past, warts and all, we present these images in the Vintage Valentine Museum so we cannot forget how we got to the place we are now. 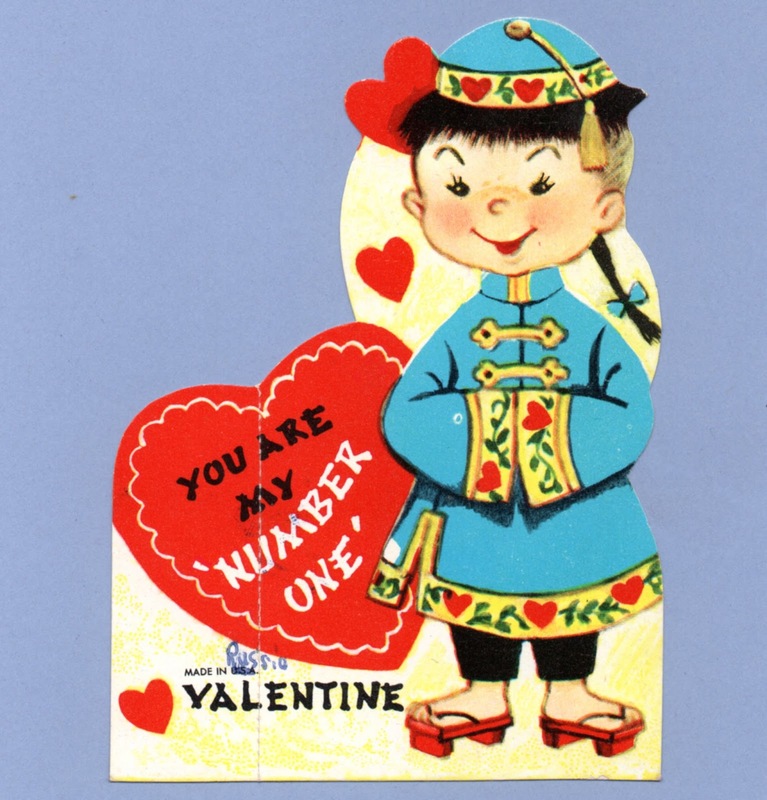 Have I a Chinaman's chance to be your Valentine. You are my NUMBER ONE Valentine. 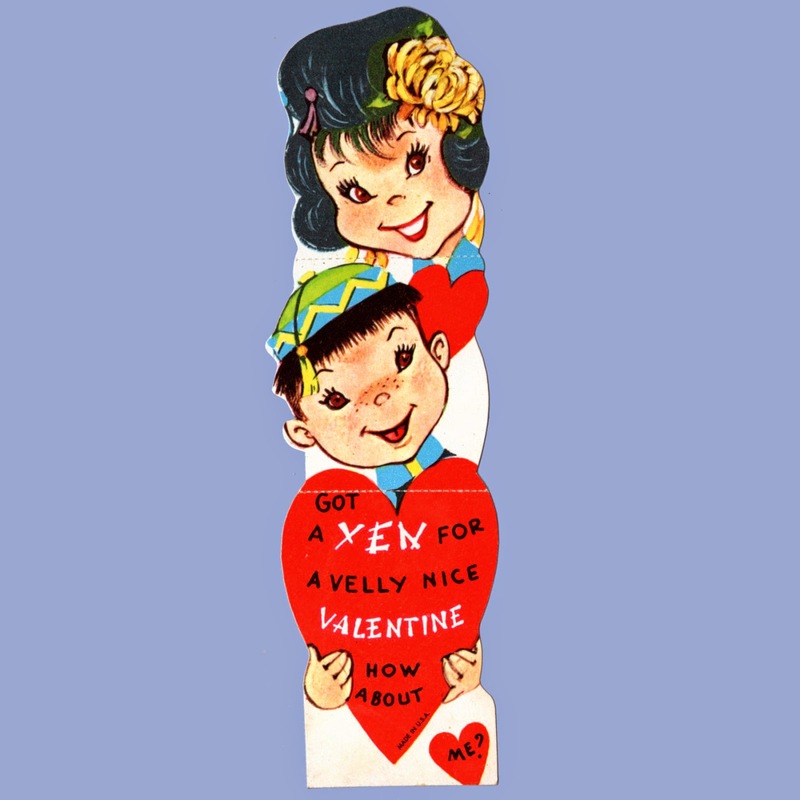 Got a YEN for a velly nice Valentine How about me? 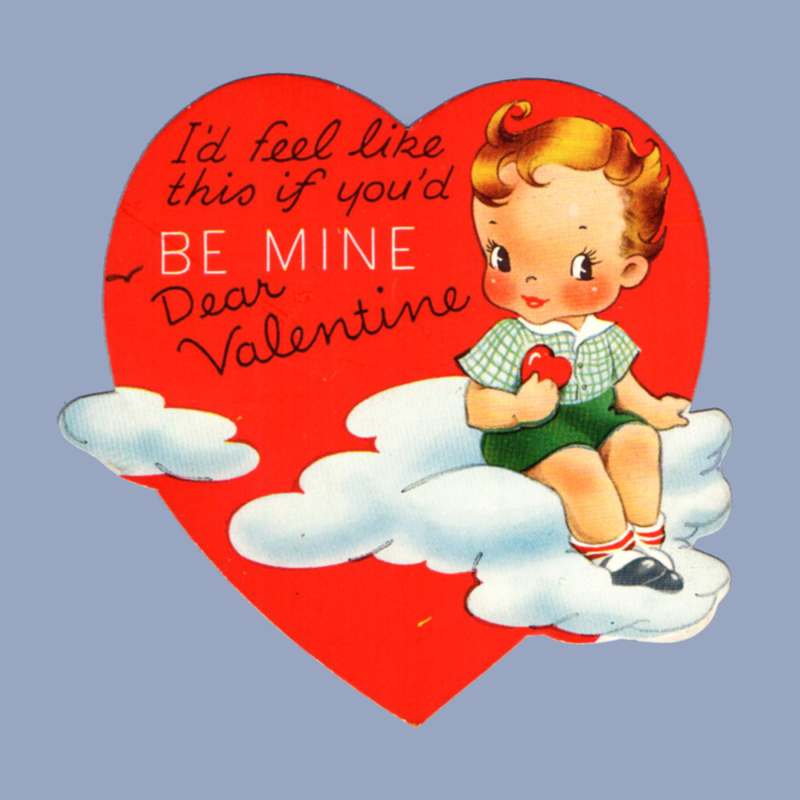 I'd feel like this if you'd BE MINE Dear Valentine.